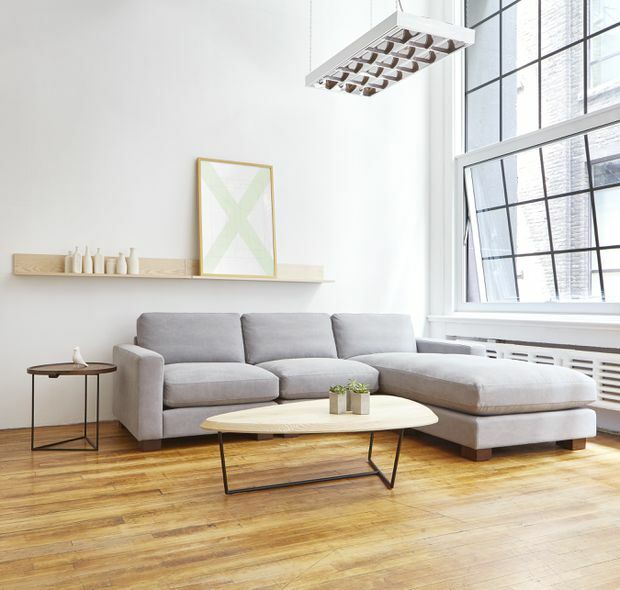 The Parkdale bi-sectional, made by Canadian company Gus Modern and manufactured from recycled plastic bottles, retails for $3,350. For the past eight years, Toronto-based YouTuber and former MuchMusic VJ Lauren Toyota has followed a vegan diet. In fact, she’s so passionate about the benefits of meat-, dairy- and egg-free food, she has even written a best-selling cookbook called Vegan Comfort Classics (think delicious yet cheeseless nachos). Toyota is part of a growing trend in Canada. According to recent studies, between 2.3 per cent and 4 per cent of the country now follow a vegan lifestyle, whereas 7.1 per cent are vegetarians, and 25 per cent are trying to consume fewer animal products in general. These numbers are expected to increase in the coming decades. More than 50 per cent of vegans are, like Toyota, 35 years old and younger, a cohort that is ever more curious to experiment with plant-based living. The rise of veganism is evident in grocery stores and restaurants, where protein substitutes and dairy-free milk are becoming mainstays. But the design world has been slower to adapt – until now. In April, at the world’s largest design showcase in Milan, avant garde Israeli designer Erez Nevi Pana presented stools and side tables made-from “guilt-free” materials such as soil and salt. The pieces are more poetic than practical (the jagged seat of a salt crystal-covered stool isn’t exactly inviting), but Pana’s hope is that they inspire other designers to move away from animal products. The Dead Sea salt stool by Erez Nevi Pana. Vegan housewares are out there, but they can be challenging to find. Recently, when Toyota was looking for a replacement sofa, she started at many people’s go-to furniture shops, popular places such as West Elm and EQ3. She was frustrated to realize that even if an ottoman wasn’t leather, upholstered in wool or had animal-based glues, it often had down feathers filling its cushions. In addition to Gus Modern, other Canadian designers are creating vegan furniture and decor options as well. British Colombia-based Vegan Yarn makes non-sheep knitting options for DIY blanket makers. Another is award-winning Toronto interiors studio Powell & Bonnell. Their Mulholland chair is covered in a 100% nylon, faux leather called Cartera that is not only produced without killing cows, but is also free of lead, PVC, phthalates, BPA, TRIS and formaldehyde. The seat retails through Toronto showroom South Hill Home for $5,435. 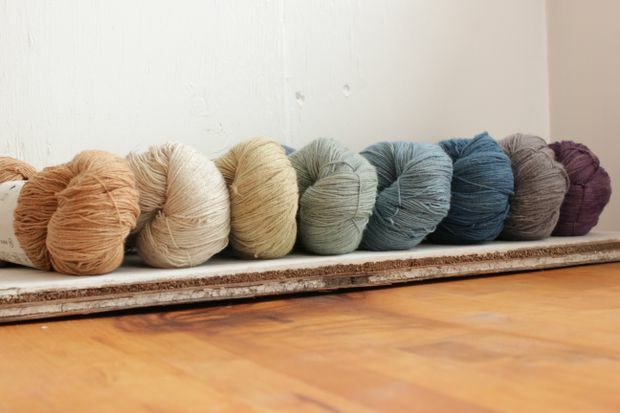 Vegan Yarn makes non-sheep knitting options for do-it-yourself blanket makers. While Ireland found the process of finding the sofa “surprisingly easy,” she did have a setback at the outset of her overall renovation. One interior designer told her that going vegan would definitely make the job harder. Undeterred, she found another designer, Vancouver’s Karla Dreyer, who was up for the challenge.